When an Amber Alert rang out on electronic devices across Ontario last month, the 911 dispatch centre closest to the place where the girl was last seen received dozens of calls complaining about the inconvenience. According to a report presented to the police board in Peel Region, Ont., objections ranged from the alert interrupting the broadcast of a hockey game to a claim that the situation was not an emergency because the girl was believed to be with her father. The Amber Alert was issued Feb. 14 following the disappearance of Riya Rajkumar. According to police, Rajkumar’s father Roopesh had failed to return her home from a celebration for her 11th birthday and had claimed he was going to hurt both the girl and himself. Rajkumar was found dead at her father’s home shortly after the alert was sent. Her father was arrested and charged with first-degree murder, but later died of what police called a self-inflicted gunshot wound. Roopesh Rajkumar’s location had been reported to police by a citizen who recognized the description of his vehicle from the Amber Alert notification. Police cite this as an example of the Amber Alert system working as designed. Less expected were the 89 calls to 911 from people in Peel Region, which includes Rajkumar’s home city of Brampton, Ont. Police classified the calls as a misuse of the 911 system. “Many members of the public deliberately called 911 to voice their displeasure at receiving the Amber Alert at such a late hour,” the report notes. The report includes transcripts of portions of six of the calls. Some people called 911 to claim that receiving the alert invaded their privacy. Others asked how to remove it from their TV screen or how to file an official complaint about police “abusing the National Emergency System” by sending the alert. “She’s with her father; I don’t think this is a national emergency,” said one caller. “We are trying to watch the Leaf game,” said another. Other callers took issue with the alert waking them up, because it was sent at 11:36 p.m. In total, Peel Regional Police received triple their usual call volume in the time around the Amber Alert. Nearly half of those calls were considered to be misuse of 911. Complaint calls continued into the following day, as did calls from people wanting to thank police for their efforts – which are also considered misuse, because 911 should only be called in emergencies. Police say they are treating the calls as educational opportunities and will not lay any charges in relation to them. Abusing 911 can be considered criminal mischief, which can lead to jail time for anyone convicted of the offence. “The misuse of the 911 system poses a risk to public safety as these calls can potentially delay legitimate 911 calls from being answered,” the report reads. Complaints were also received by police agencies outside the community where Rajkumar lived. Some people questioned why the alert was sent to people living in other parts of Ontario. Roopesh Rajkumar was arrested in Oro-Medonte, Ont., more than 100 kilometres away from his home. Police have used that distance to justify the current protocols, which require alerts to be sent to an entire province or territory. The Amber Alert system began in the U.S. and arrived in Canada in 2002. It is generally used to warn the public about child abductions, although the exact criteria can vary between jurisdictions. In Ontario, an Amber Alert can be issued anytime police believe a child has been abducted and is in danger, and have enough information about the alleged abductor and/or their vehicle that the alert could be considered helpful to the public. Some other jurisdictions require confirmation of the abduction, the abductor’s identity or both before the alert can be sent. Amber Alerts are one of the main uses of the new Alert Ready system, which was launched last year with a series of high-profile tests and may be best known to Canadians for its high-pitched two-tone alarm sound. 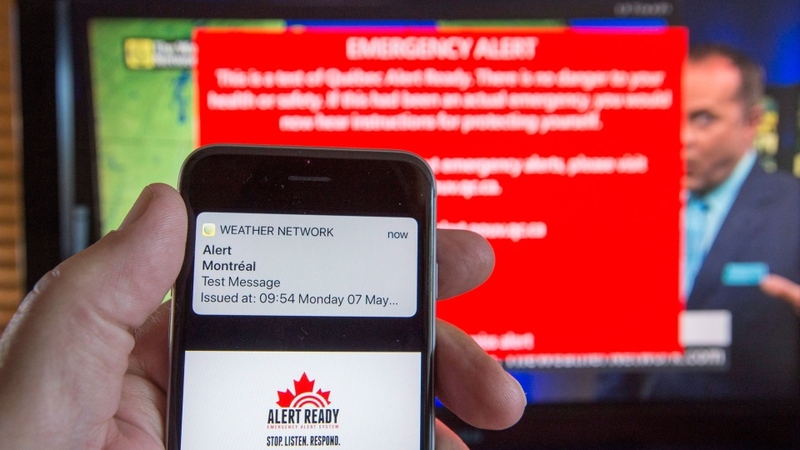 Alert Ready is capable of sending emergency alerts over radio airwaves and to most televisions and smartphones. 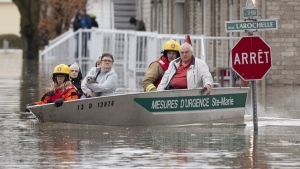 In addition to Amber Alerts, it can be used to warn Canadians of dangerous weather conditions, public safety threats and other emergencies in their area.